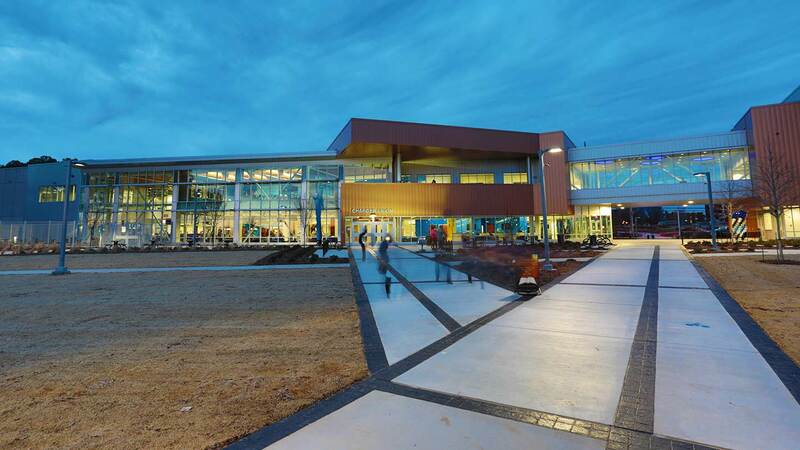 The Charger Union is UAH's brand-new, state-of-the-art student center. 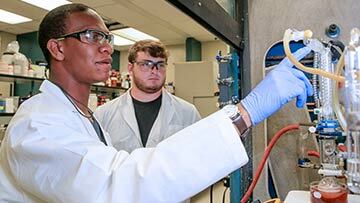 It serves as the heart of the UAH community and provides a comfortable, safe, and welcoming environment for student life and engagement. 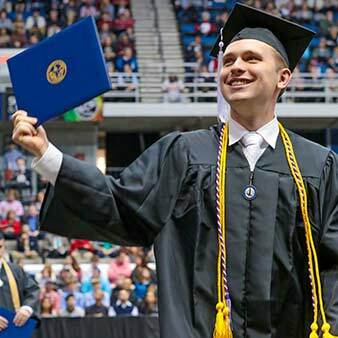 The Charger Union supports the personal and professional development of students, offering formal and informal spaces to attend programs and access to high-quality services that enhance UAH's educational mission. 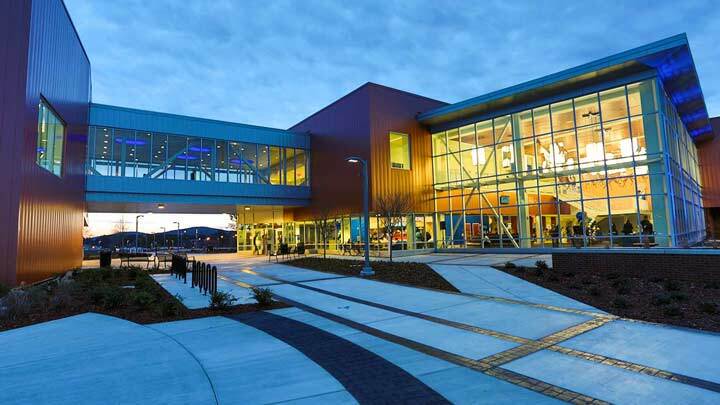 This 100,000 square foot building has room for just about everything from the professional and productive workspaces to the relaxing and entertaining hangout spots for all students, faculty and staff to enjoy. The Charger Union offers many accommodations including built-in audiovisual equipment, specialty lighting, and large-screen cinema. 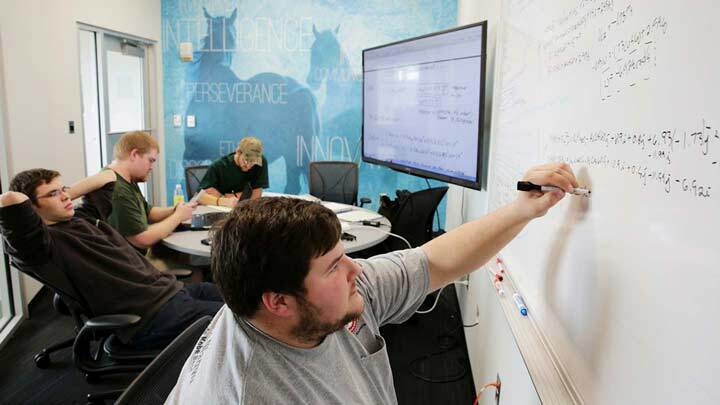 With over 40 LCD screens throughout the building, the CU is able to meet many technology needs. 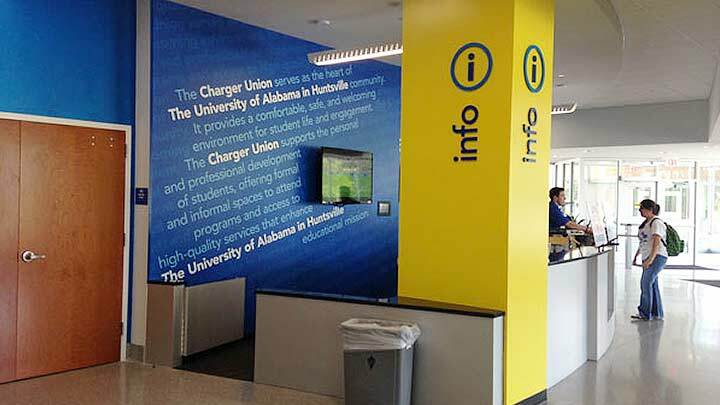 Take a video tour of the new Charger Union to find out all it has to offer the students of UAH. What's up at the CU? 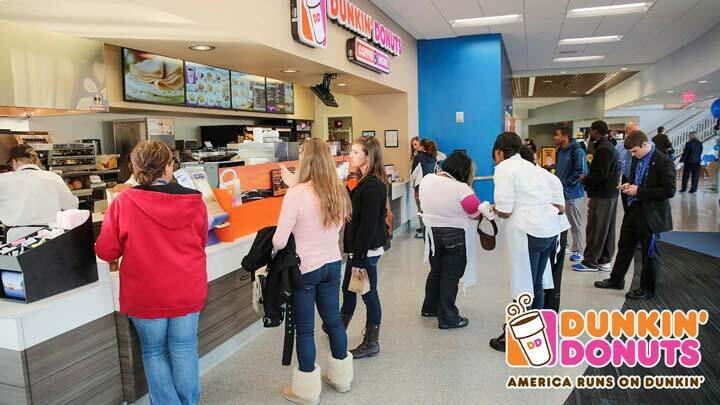 Whether you need a hot breakfast to start your day or a caffeine boost for a late-night study session, Dunkin' Donuts will keep you runnin'. 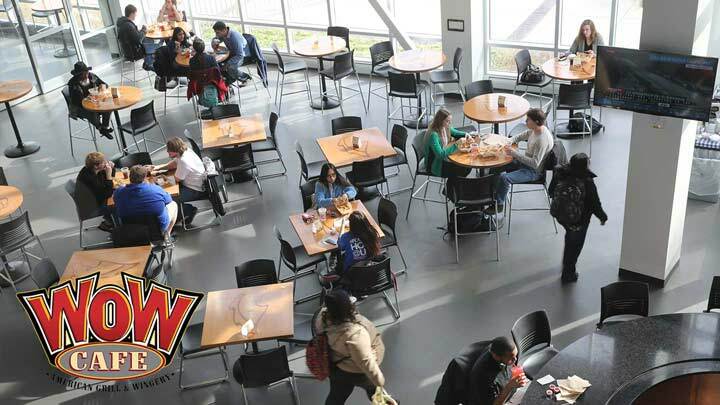 WoW Café serves burgers, wings, tenders, quesadillas, sandwiches, wraps and salads, and more, all prepared to order with fresh ingredients. 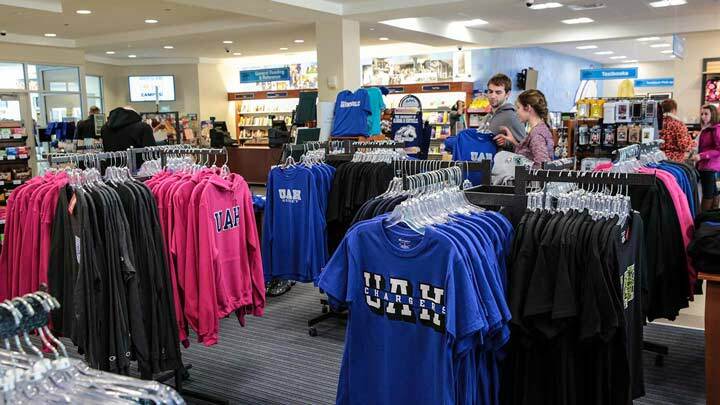 The UAH Bookstore is a convenient place to get all your textbooks, school supplies, snacks, and UAH apparel to show your Charger Pride. 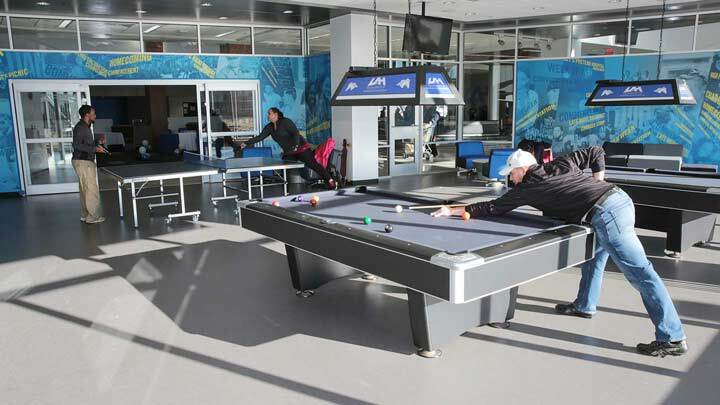 When it's time to take a break from studying, strike up a game of pool or table tennis on one of the high-quality tables in the game room. 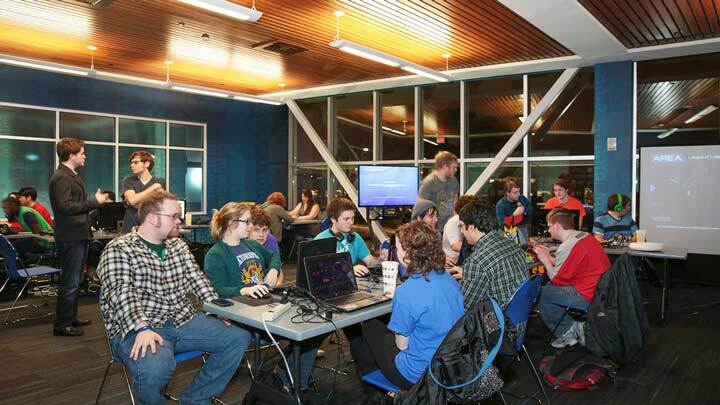 Invite your friends, bring your gamepads, and plug in for a gaming session in the e-gaming lounge. 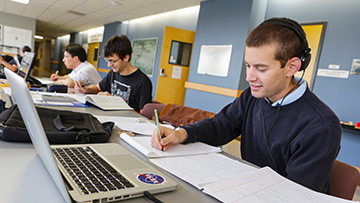 The CU offers numerous conference rooms of varying size that are perfect for a group meeting or a study session. 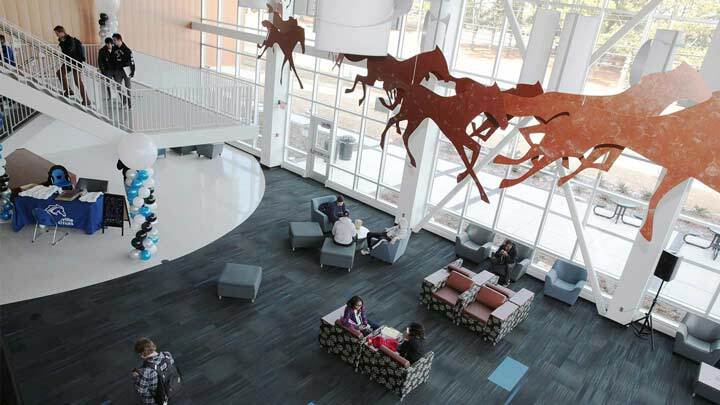 The CU's large light-filled atriums are the perfect place to meet up with friends or classmates. 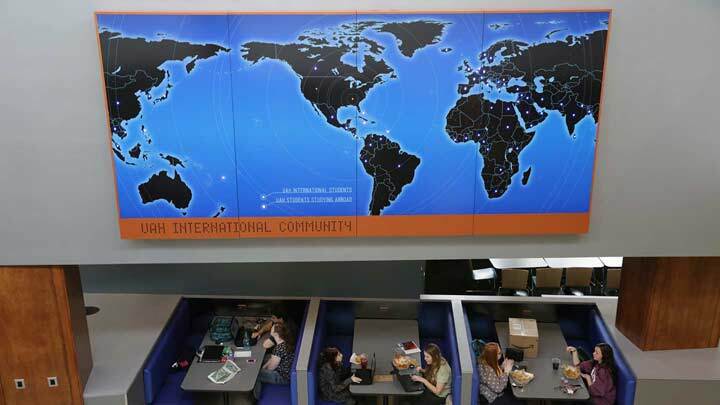 Illustrating the diverse student body at UAH, the international map lights up with the home country of current international UAH students and UAH students studying abroad. 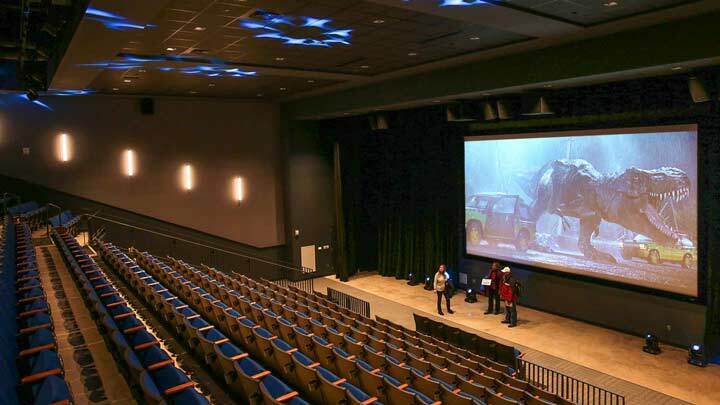 With 332 seats, a 28' screen, and Dolby surround sound, the CU Theater is the perfect place for presentations or hit movies like those shown on Cinema Sunday. 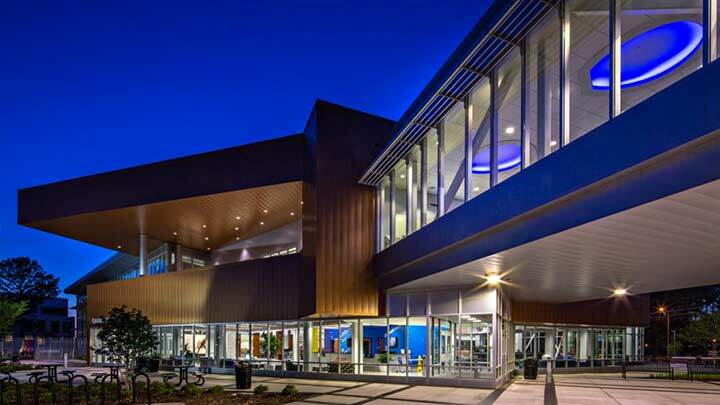 Connecting the CU and the CU Theater, and providing an overpass to the Greenway, the bridge features blue horseshoe lighting and tables and chairs for students to hang out. 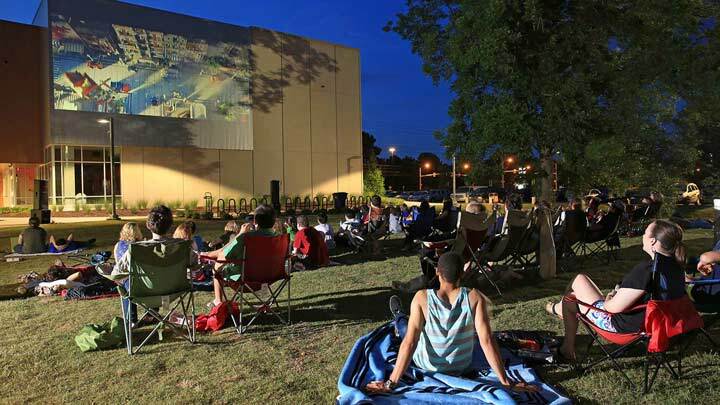 Pack up a lawn chair or picnic blanket and head to the Greenway to catch a movie on the CU's special projector screen built right into the side of the Theater.